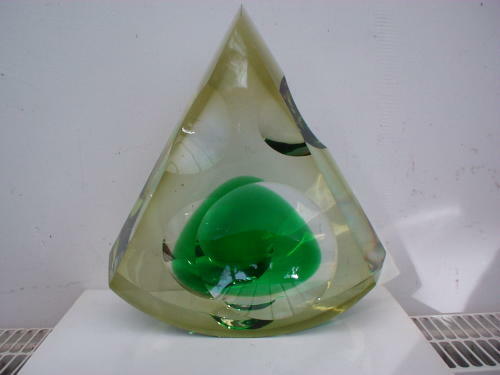 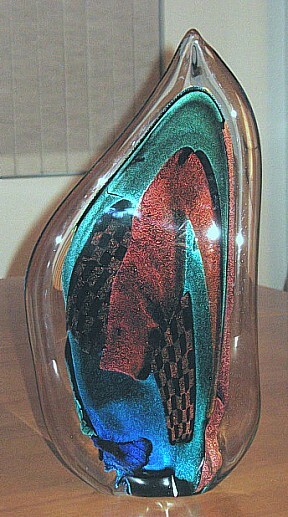 A very large, solid and heavy art glass vase. 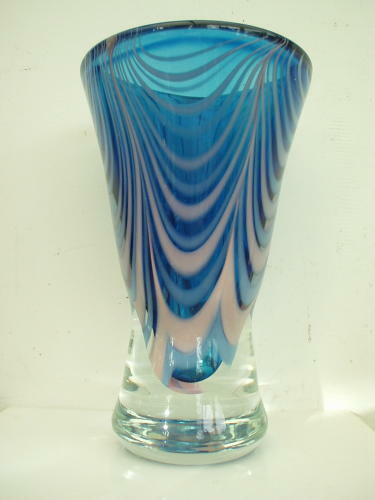 Flowing, organic pink and purple lines in blue background. 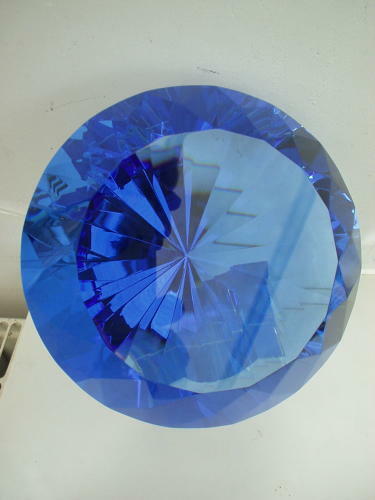 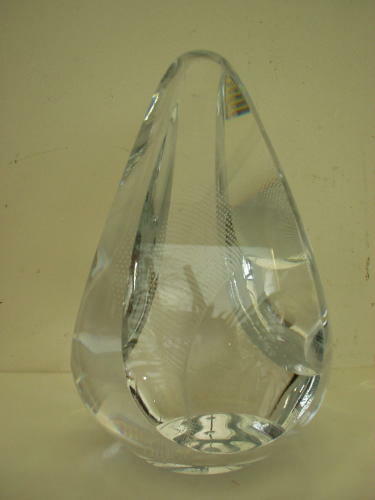 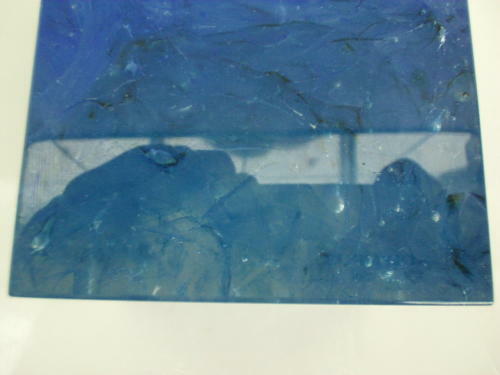 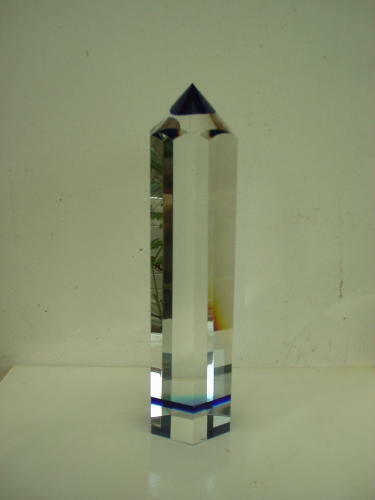 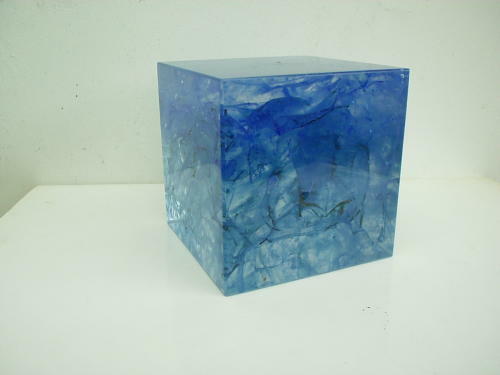 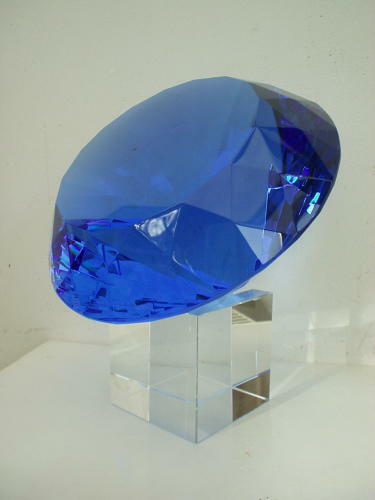 A diamond shaped, heavily sparkling blue glass object with separate transparent base. 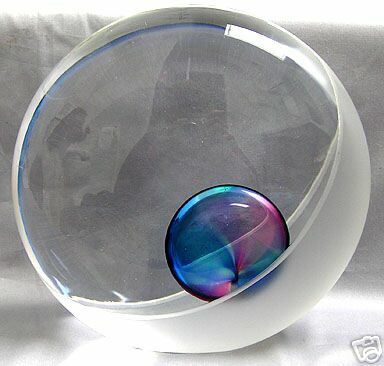 Very large and heavy art glass object 'Oyster and Pearl' from Seguso glass studio, Murano. 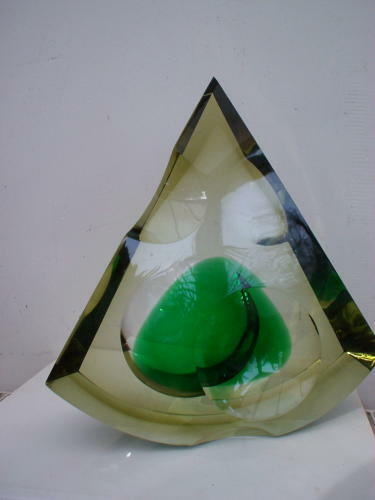 Designed by Livio Seguso. 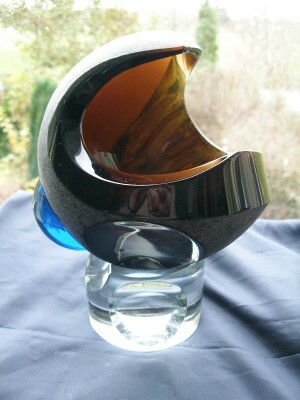 Een funky glasobject in jaren '60 / '70 stijl, door Eduard (Edward) Soukup (Tsjechisch). 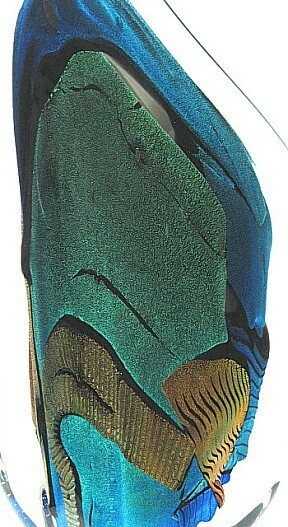 Gesigneerd. 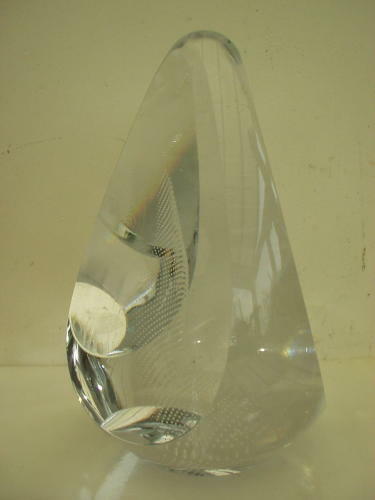 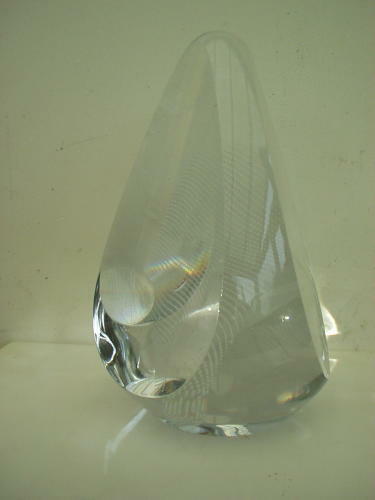 A transparent glass object with air bubbles inside, in an organic, irregular shape. 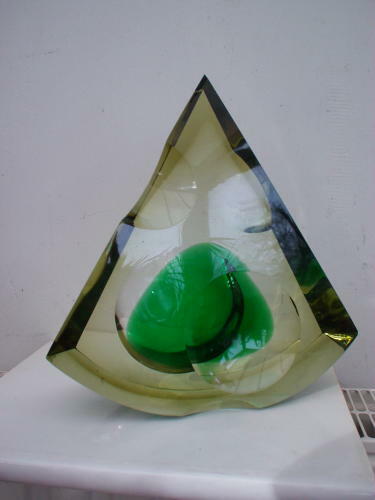 Made by the Aleksoto Stiklo Studija Lithuania. 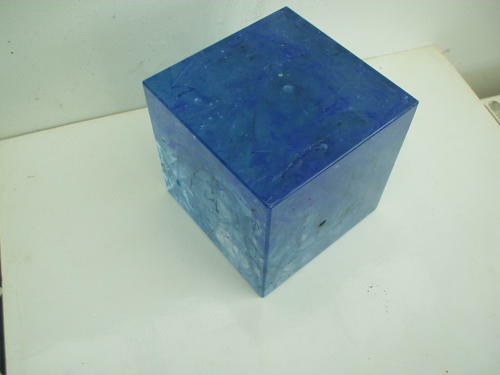 A glass cube 8 x 8 x 8 cm of transparent glass intersected with playful blue lines and air bubbles. 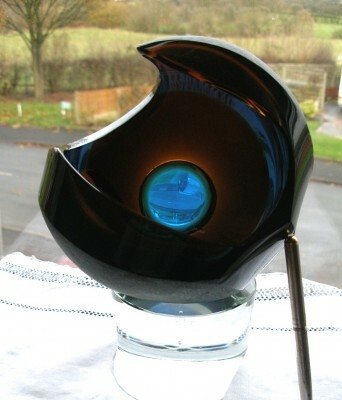 Signed J. Stohanzl, a famous Czech / Bohemian glass artist. 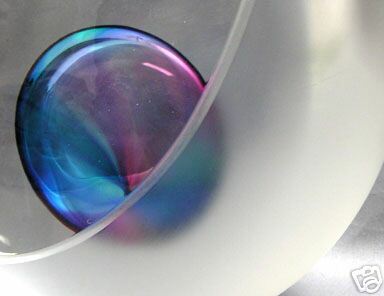 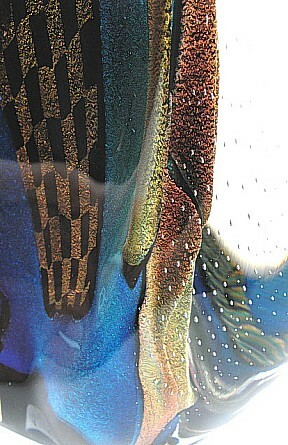 Een zeer bijzonder dichroic, kleurrijk glasobject van Randy Strong, een bekend Amerikaans glasartist (listed). 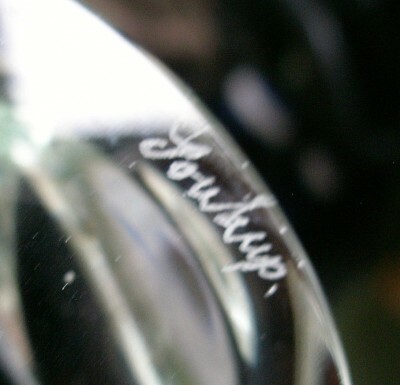 Gesigneerd R. Strong 1994. 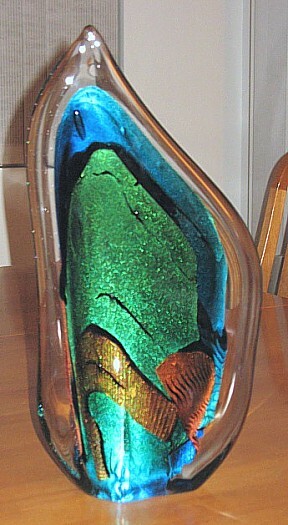 Signed by prof. J. Svoboda, famous Czech / Bohemian glass artist. 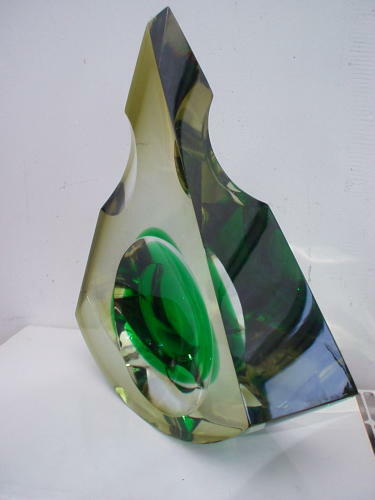 A famous, pencil-shaped glass sculpture made by Vladimir Zila, a well-known Czech / Bohemian glass artist.